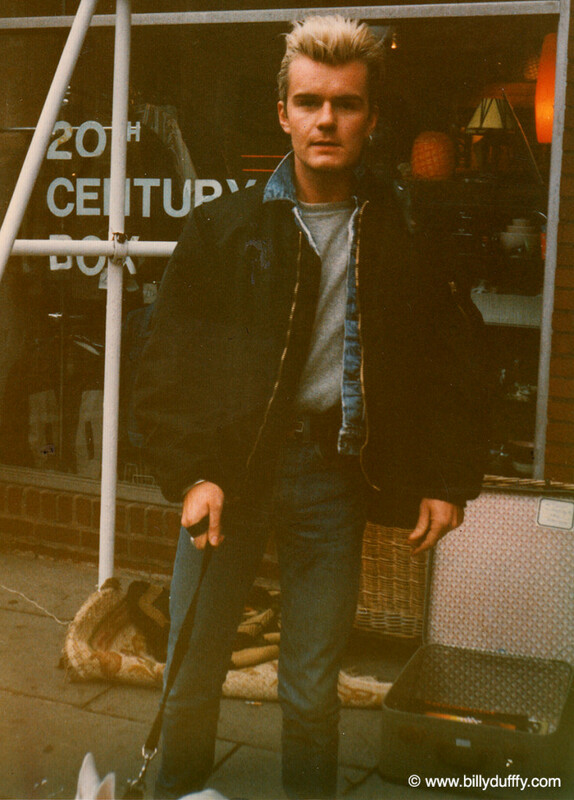 "This was taken in 1986 on the Kings Road when the band had returned from the Manor Studios where we had be recording the unreleased version of 'Electric' (known by many as the 'Manor Sessions' and later realised as 'Peace' in 2013). We were mixing in London at The Townhouse and I was taking time out to give "Disco Dave Duffy” his daily constitutional... and probably scouring second hand clothes shops as well. Although I did that less and less once the band had toured America a few times and I could feed my American clothes obsession at the source!"